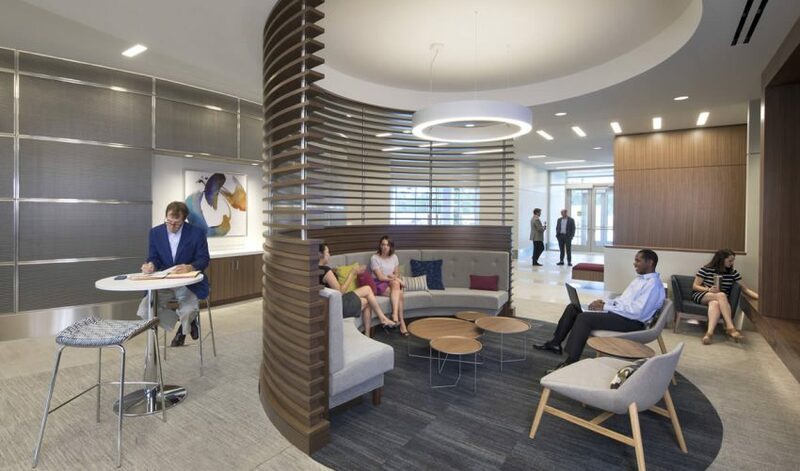 This commercial project features CentreGreen 3, located in the CentreGreen Office Park in Cary, North Carolina. 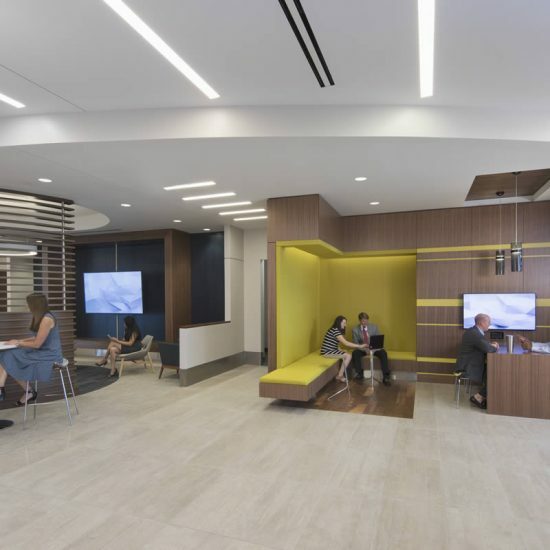 We built and engineered the custom millwork for this space in collaboration with Shelco and Highroads Properties. 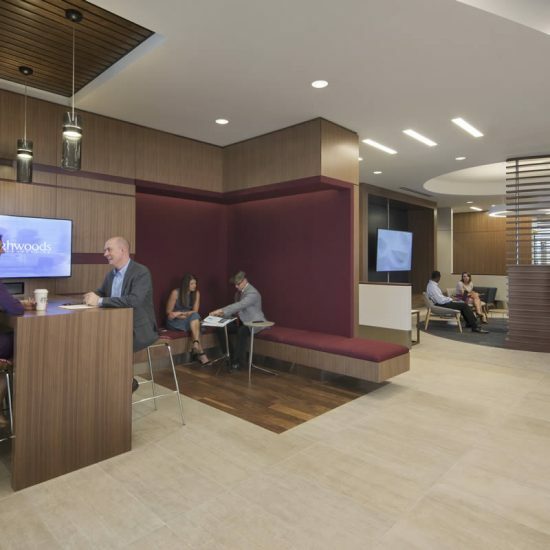 This unique work environment features quartered Walnut veneer and Tabu paneling at different thicknesses and levels for visual interest and a contemporary feel. For added contrast, we built a custom, curved metal wall out of Italian imported Struttural metal mesh-- A technique and manipulation of this material that had never been done before. To polish off the unique details of this space, we made vibrant custom upholstery to run along the curved Walnut slats and banquette wall.